Rooted aquatic plants, also called submerged aquatic vegetation (SAV), represent an important component of many coastal ecosystems. SAV supports the health of these ecosystems by generating food and habitat for waterfowl, fish, shellfish, and invertebrates; adding oxygen to the water column during photosynthesis; filtering and trapping sediment that otherwise would bury benthic organisms and cloud the water column; inhibiting wave action that erodes shorelines; and absorbing nutrients, such as nitrogen and phosphorus, that otherwise could fuel the growth of unwanted planktonic algae. One area where SAV plays an important role is the Chesapeake Bay, where SAV has historically contributed to high primary and secondary productivity (Kemp et al., 1984). In the early 1960s, researchers began to note the loss of SAV from shallow waters of the Chesapeake Bay, which has since become a widespread, well-documented problem (Batiuk et al., 2000). The SAV restoration goal is based on the known historical expanse of SAV in the Bay and its tributaries. Current acreage is approximately half of that known expanse. Trends in the distribution and abundance of SAV over time are useful in understanding trends in water quality (Moore et al., 2004). Although other factors such as climatic events and herbicide toxicity may have contributed to the decline of SAV in the Bay, the primary causes are eutrophication and associated reductions in light availability (Batiuk et al., 2000). Like all plants, SAV needs sunlight to grow and survive. Two key stressors that impact the growth of SAV are suspended sediments and excess nutrient pollution. Suspended sediments—loose particles of clay and silt that are suspended in the water—make the water dingy and block sunlight from reaching the plants. Similarly, excess nutrients in the water fuel the growth of planktonic and epiphytic algae, which also block sunlight. This indicator presents the distribution of SAV in the Chesapeake Bay and its tributaries from 1978 to 2017, as mapped from black and white aerial photographs. The surveys follow fixed flight routes to comprehensively survey all shallow water areas of the Bay and its tidal tributaries. Non-tidal areas are omitted from the survey. SAV beds less than 1 square meter in area are not included due to the limits of the photography and interpretation. Annual monitoring began in 1978; however, partial surveys were conducted from 1979 to 1983, and no survey was conducted in 1988. In years when the entire area could not be surveyed due to flight restrictions or weather events, acreages in the non-surveyed areas were estimated based on prior years' surveys. The extent of SAV in the Chesapeake Bay increased from 41,000 acres in 1978 to a peak of 105,000 acres in 2017 (Exhibit 1). Year-to-year changes fluctuate and reflect a variety of phenomena. For example, the notable decline in SAV distribution between 2002 and 2003 likely reflected substantial reductions in widgeongrass populations in the lower and mid-bay regions and major declines in freshwater SAV species in the upper portion of the Potomac River and the Susquehanna region. While populations of SAV appeared to be present in these segments very early in the growing season, rain throughout the spring and summer caused persistent turbidity that may have contributed to a very early decline, well before Hurricane Isabel affected the Chesapeake Bay in 2003 (Orth et al., 2004). The decline from 2005 to 2006 likely reflected above average water temperatures in the fall of 2005 and a dry spring followed by an early summer rain event in 2006 (EcoCheck, 2007). The 2011 and 2012 declines are due to a dieback of eelgrass during an extremely hot summer in 2010 after the areas were surveyed, as well as an increase in river flow and sediment loads for almost two months following Hurricane Irene and Tropical Storm Lee (Chesapeake Bay Program, 2012; Orth et al., 2013). The extent of SAV in the Chesapeake Bay has consistently increased since 2012 (Exhibit 1). There were no surveys in the years 1979-1983 or in 1988. The indicator includes some estimated data for years with incomplete photographic coverage. Spatial gaps in 1999 occurred due to the inability to reliably photograph SAV following hurricane disturbance. Spatial gaps in 2001 occurred due to flight restrictions near Washington D.C. after the September 11th terrorist attacks. Gaps occurred in 2003 due to adverse weather in the spring, summer, and fall (Hurricane Isabel). In 2011, SAV signatures were masked by excess turbidity present after Hurricane Irene and Tropical Storm Lee. In 2016, weather conditions and security restrictions prevented aerial imagery over a portion of the Potomac River. Acreage in the non-surveyed areas was estimated based on prior years' surveys. In all cases, the estimated area accounted for less than 10 percent of the total acreage of SAV. Photointerpretation methods changed over the course of this study. However, data have been adjusted to account for any methodological inconsistencies. Extent is just one of the variables that can be used to measure the condition of SAV communities. Other useful attributes that have been studied include vegetation health, density, and species diversity. Data were obtained from the Chesapeake Bay Program, which has published a version of this indicator (Chesapeake Bay Program, 2018) along with a link to download the annual summary data presented in Exhibit 1 (http://www.chesapeakeprogress.com/abundant-life/sav). These acreage statistics are based on annual SAV distribution maps, which are available from the Virginia Institute of Marine Science (VIMS, 2018) (http://web.vims.edu/bio/sav/index.html). Batiuk, R., P. Bergstrom, M. Kemp, E. Koch, L. Murray, C. Stevenson, R. Bartleson, V. Carter, N. Rybicki, J. Landwehr, C. Gallegos, L. Karrh, M. Naylor, D. Wilcox, K. Moore, S. Ailstock, and M. Teichberg. 2000. Chesapeake Bay submerged aquatic vegetation water quality and habitat-based requirements and restoration targets: A second technical synthesis. CBP/TRS 245/00. EPA/903/R-00/014. Annapolis, MD: U.S. Environmental Protection Agency, Chesapeake Bay Program. http://archive.chesapeakebay.net/pubs/sav/index.html. Chesapeake Bay Program. 2018. Submerged aquatic vegetation (SAV). Accessed May 2018. http://www.chesapeakeprogress.com/abundant-life/sav. 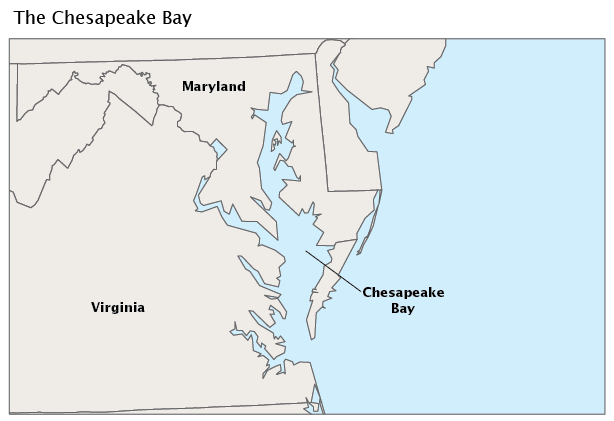 Chesapeake Bay Program. 2012. Underwater bay grasses in the Chesapeake Bay and rivers in 2011. http://www.chesapeakebay.net/documents/BackgrounderFINAL3_27_12.pdf (PDF) (5 pp, 632K). EcoCheck. 2007. Chesapeake Bay habitat health report card: 2006. NOAA Chesapeake Bay Program Office and University of Maryland Center for Environmental Sciences, Integration and Application Network. http://ian.umces.edu/ecocheck/report-cards/chesapeake-bay/2006/overview/. Kemp, W.M., W.R. Boynton, R.R. Twilley, J.C. Stevenson, and L.G. Ward. 1984. Influences of submersed vascular plants on ecological processes in upper Chesapeake Bay. In: V.S. Kennedy, ed. Estuaries as filters. New York: Academic Press, pp. 367-394. Moore, K.A., D.J. Wilcox, B. Anderson, T.A. Parham, and M.D. Naylor. 2004. Historical analysis of SAV in the Potomac River and analysis of bay-wide historic SAV to establish a new acreage goal. Report to EPA Chesapeake Bay Program. http://web.vims.edu/GreyLit/VIMS/HistAnalSAVPotomac2004.pdf (PDF) (25 pp, 181K). Orth, R.J., D.J. Wilcox, L.S. Nagey, A.L. Owens, J.R. Whiting, and A. Serio. 2004. 2003 distribution of submerged aquatic vegetation in Chesapeake Bay and coastal bays. Report to EPA Chesapeake Bay Program. http://web.vims.edu/bio/sav/sav03/index.html. VIMS (Virginia Institute of Marine Science). 2018. Submerged aquatic vegetation (SAV) in Chesapeake Bay and coastal bays. Accessed May 2018. http://web.vims.edu/bio/sav/index.html.